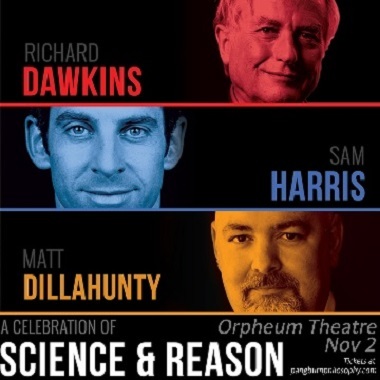 Richard Dawkins and Sam Harris will be in town November 2 to continue their assault upon Christianity and all things unscientific – but we can also look forward to a string of events which show a much more positive link between faith and science. Richard Dawkins and Sam Harris are two of the world’s most respected scientists, authors and biggest draws in secular humanism. They will share the stage with Matt Dillahunty, a former southern baptist who spent a big part of his life studying to become a minister. Since finding his way out of religion, Dillahunty gained worldwide fame by hosting the Austin, Texas all access call in show The Atheist Experience. He now travels the world debating and lecturing on subjects primarily relating to belief in god and skepticism. This event will feature a discussion about Science and Reason. How do we become more scientifically literate? How can we better educate society to value skepticism over faith? Whether Dawkins and Harris are ‘respected scientists’ or anti-religious bigots – or, possibly, a little bit of both – they will no doubt continue to convince some that the worlds of science and religion are strangers. So, it is good news that there are now so many ways to refute that fallacy. Books by the likes of John Polkinghorne, Alvin Plantinga, John Lennox, Francis Collins, Nancy Pearcey, Paul Copan, Alister McGrath and many others are a good start, but these days there are also many opportunities to hear directly from scientists and academics who controvert Dawkins/Harris every day of their working lives. The Canadian Scientific and Christian Affiliation (CSCA) is a fellowship of scientists and those interested in science, who want to understand how science should best interact with the life-giving Christian tradition. Science serves widely, while the Christian faith remains the world’s largest global movement. Where these two cross is fascinating, fruitful, and worthy of our best attention. 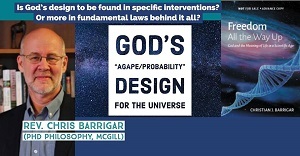 Our interdisciplinary discussions range, for example, through fields including cosmology, mathematics, ethics, the environment, medicine, genetics, geology, origin studies, engineering, science education, the history of science, epistemology, proofs for the existence of God, biblical interpretation and the understanding of humanity through the social sciences. CSCA members come to these challenges as researchers in academia and industry, as professors, theologians, philosophers, administrators from dean to provincial university president, and as students just getting started. The CSCA has events all year long, but three are coming up just within the next month. One is a direct response to the New Atheists. 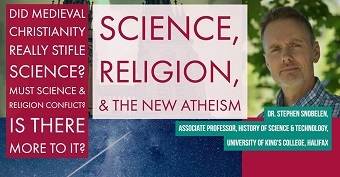 Stephen Snobelen will address Science, Religion and the New Atheism shortly after Dawkins and Harris leave town, November 6 at Trinity Western University. From Richard Dawkins’ The God Delusion (2006) to Jerry Coyne’s Faith vs Fact (2015), the ‘New Atheists’ have both championed a secular view of science and have critiqued, challenged and mocked religion. Yet when their arguments are subjected to the same kind of withering critique they apply to religion, many of them are shown to be a good deal less robust than their proponents claim. While the New Atheists are particularly strong when exposing abuses of religion, their understanding of the nature of science is often simplistic and their treatment of theology petty, unbalanced and frequently wrong. What is more, they regularly misunderstand and misuse the history of science. On top of this, their characterization of religion and belief in God as scientific theories is guaranteed at the rhetorical level to make science look superior to religion, but at the cost of viewing religion in a way similar to the fundamentalists they love to loathe. This account provides a critique of the New Atheists by a historian of science that hopes to be valuable for believer and nonbeliever alike. Snobelen is associate professor of the History of Science and Technology Programme at the University of King’s College in Halifax. He received his PhD in the History and Philosophy of Science from the University of Cambridge. Next May the CSCA will hold a conference dealing with science and Christianity in Canada at TWU. Rabbi Lord Jonathan Sacks will speak about the moral contribution of religion in the world. The Graduate Christian Union provides a network for graduate students on the UBC campus and often sponsors lectures and other events. Gordon Carkner guides the GCU and notes a couple of events which counter the New Atheists’ approach. The first will be Rabbi Lord Jonathan Sacks, who will speak (by video) on The Dignity of Difference: The Critical Moral Contribution of Religion in Our Globalized World, October 25, 4 pm, at the Chemistry Building at UBC. Sacks is a philosopher, theologian, politician, one of the UK’s top public intellectuals and former Chief Rabbi of the United Hebrew Congregation of the Commonwealth 1991 – 2013. There will be responses by Dr. Olav Slaymaker, professor emeritus, Geography, UBC and Dr. Jason Byassee, professor of Hermeneutics and Homiletics, Vancouver School of Theology. In the new year, Dr. William Newsome, a neurobiologist at Stanford University, will give this lecture: Of Two Minds: A Neuroscientist Balances Science and the Big Questions. The seminaries out at UBC often host scientifically oriented talks and conferences. 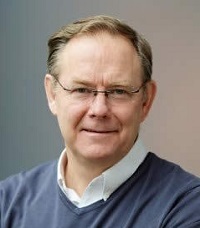 Hastings holds PhDs in organometallic chemistry (Queen’s University, Kingston) and theology (University of St Andrews, Scotland). To read an interview with Hastings about the book go here. St. Mark’s College will host Bro. Guy Consolmagno, SJ November 22 as he asks Why Do We Look Up at the Heavens? 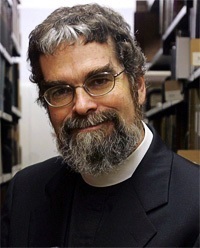 In 2015, Pope Francis appointed the astronomer / Jesuit brother as the new director of the Vatican Observatory, founded by Pope Leo XIII in 1891. It would be really nice if Dawkins, Harris and their friends would attend one or more of these events while they’re in Vancouver – or wherever they are, because such events are happening all over the world. I’ve just spent three days in company I wish Dawkins & Co. could have enjoyed. Thirty people were convened at St Anne’s College, Oxford, for a discussion of religion and science. All were believers in the Christian God. And they didn’t strike me as people inclined to see things that aren’t there. Most had backgrounds in the ‘hardest’ of sciences: physics and chemistry. Indeed, two of the convenors are known widely for their work at Oxford in quantum mechanics both theoretically and experimentally. But other sciences were represented as well, from meteorology to biology to astronomy. Perhaps, however, they were trained at inferior schools and just weren’t very bright? Not hardly. Almost everyone was a product of a top university: Oxford, Cambridge, London, St Andrews, Edinburgh, Harvard, Yale.